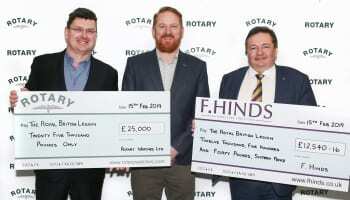 Rotary’s current slogan of “Icons of British Design” is translating into a full blown creative direction with the launch of classic timepieces linked to important places in the UK. 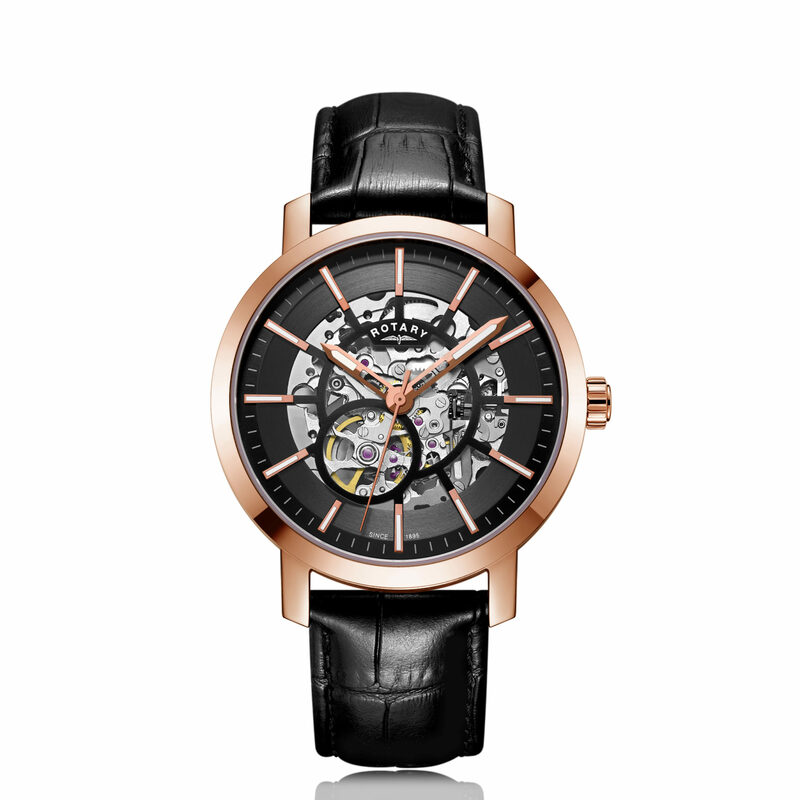 Joining watch ranges such as Cambridge, Henley and Windsor this month are a modern family called the London Collection and another dubbed Greenwich. 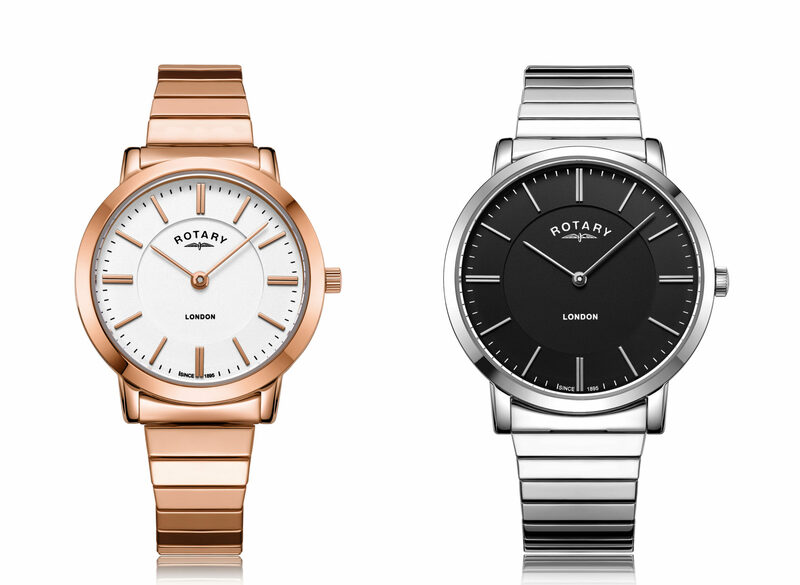 The London Collection (above) is a clean and contemporary line with both men’s and women’s models in steel 40mm cases. 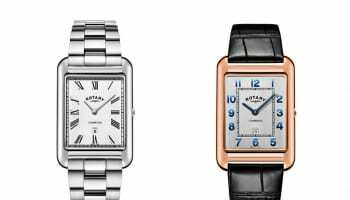 The ladies’ watches have a narrower steel bracelet to the men’s. 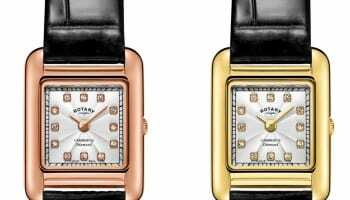 The coherent quartz collection comes in brushed steel, yellow gold or white gold, with matching applied markers on black, champagne or white dials. They range in price from £89 to £99. 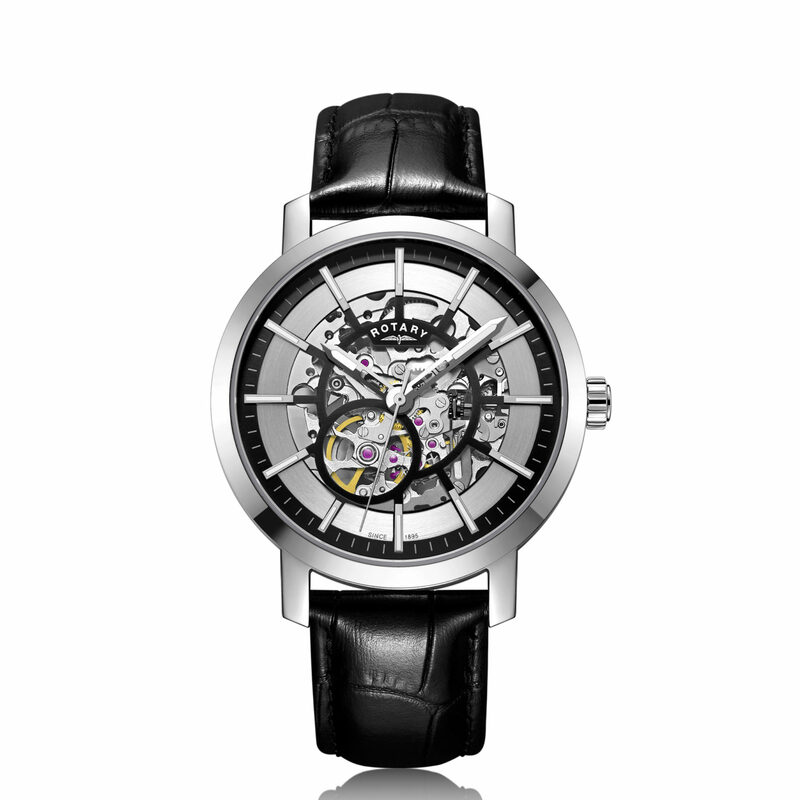 Rotary has added two skeletonised mechanical automatic models to its Greenwich family. The on trend pieces come in 42mm waterproof steel cases, with either a polished steel finish or rose gold PVD. 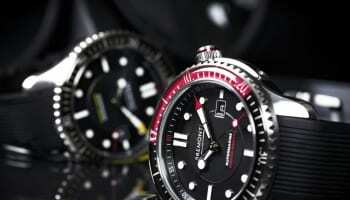 Despite high end watchmaking touches like sapphire glass, the watches retail for just £279 to £289. 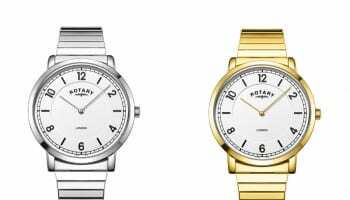 They also have a two year guarantee, which would not be possible without a well-made Japanese automatic movement.